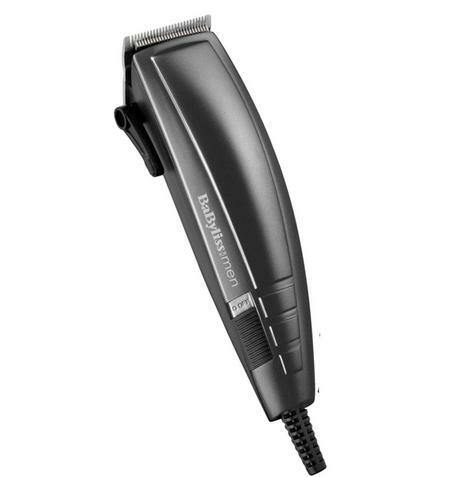 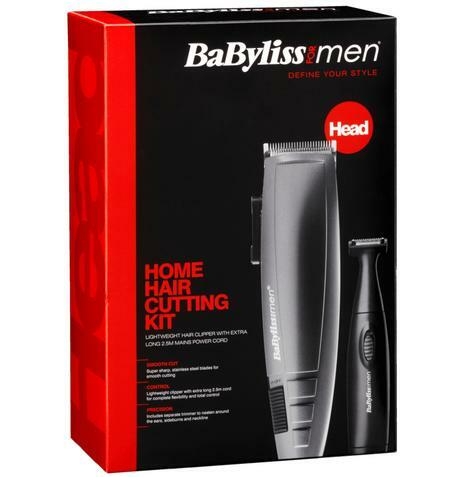 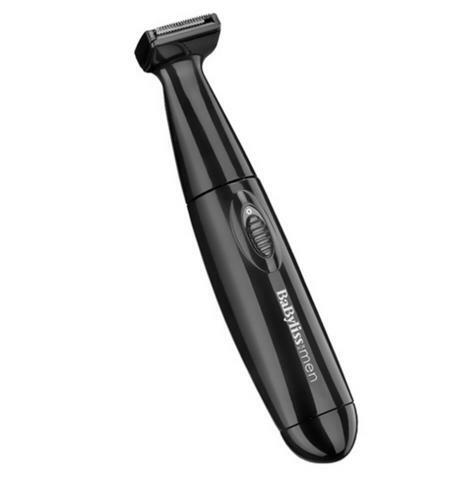 The BaByliss For Men pro hair cutting kit is all you need to achieve a desired cut from home. The mains operated clipper has super sharp stainless steel blades and an extra long 2.5 m cord for total convenience and continuous high power when in use. It includes 10 comb guides, for grades 1-10 and left and right ear taper guides. It also includes a separate trimmer for neckline and sideburns and a range of accessories. 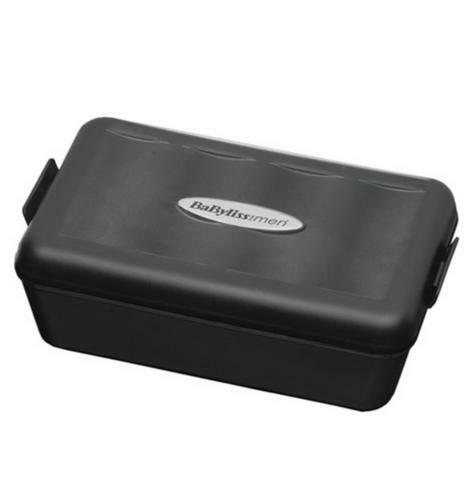 A convenient case is also included to help keep all the set together in one place. 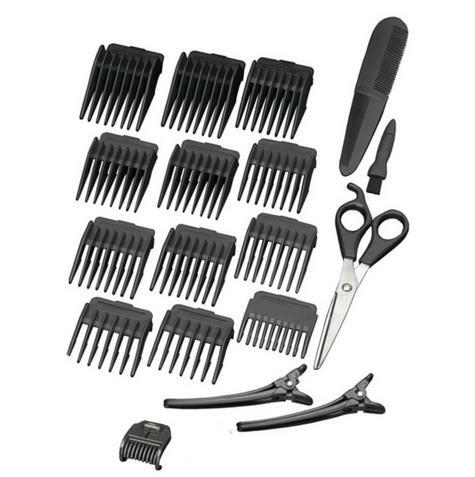 So no more lost comb guides and accessories ever again. 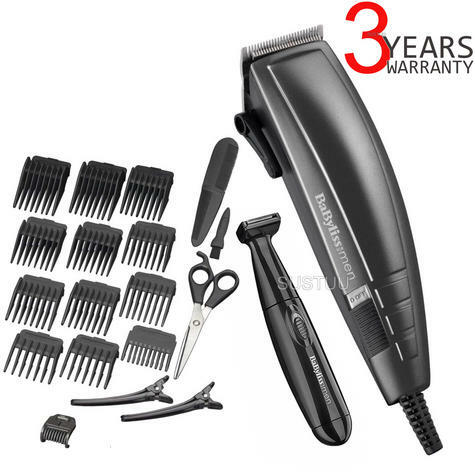 Accessories include 2 x sectioning clips for keeping hair out of way whilst cutting another area, a barbers comb for detangling and styling, a cleaning brush for keeping the clipper in tip top condition and oil to make sure the blades stay super sharp at all times. 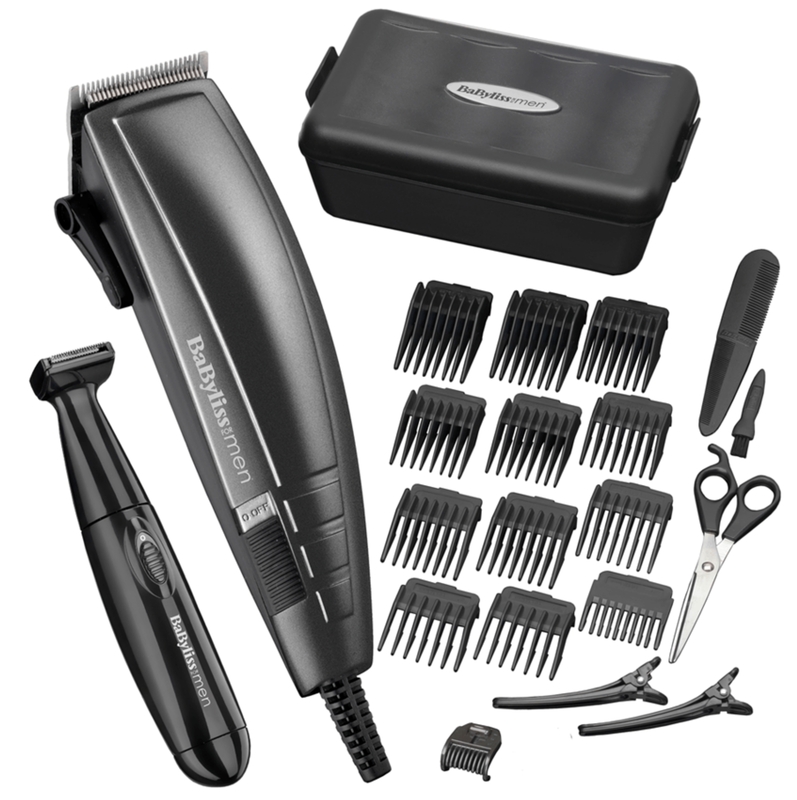 BaByliss tools are used in hair and beauty salons and BaByliss use this expertise to create top performance products. BaByliss Product are thoroughly tested to give the ideal performance and results at home.